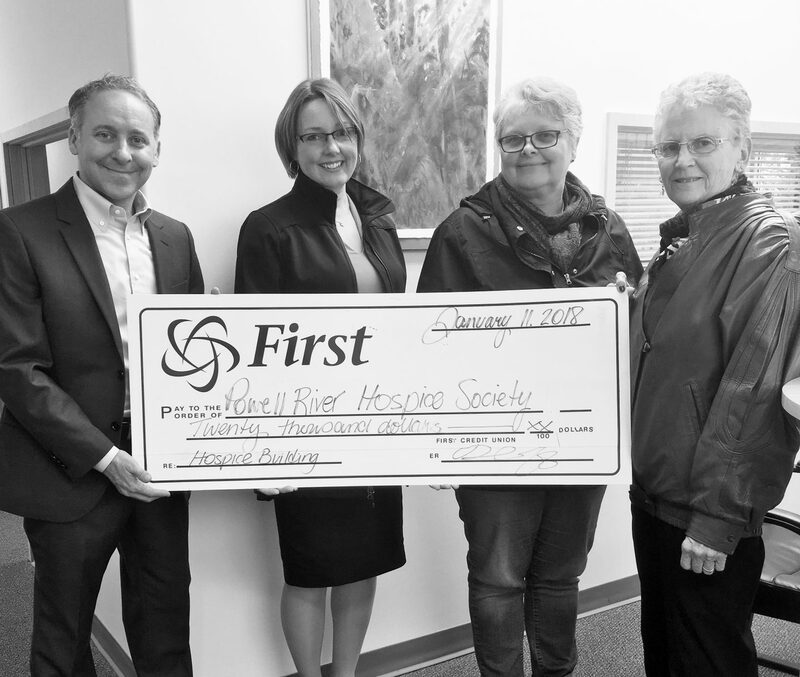 We are very excited to support the Powell River Hospice Society's efforts to build a four-bed Hospice House with a pledge for $20,000. The Powell River Hospice Society is a community-based, non-profit organization, offering social, emotional and spiritual support to individuals at the end of their life. A Hospice House will help to ensure that people in Powell River has compassionate end-of-life care. Thank you to everyone at Powell River Hospice for the important work that you do.